On Nov 8, Thai developer Sansiri invested US$12 million ($16.3 million) in JustCo, Singapore’s biggest co-working operator. The Series B funding round by Sansiri gives the Thai company a 6.09% stake in JustCo, and values the company at close to US$200 million. Kong Wan Sing, founder and CEO of JustCo, recounts how the deal came about five months ago. “We got connected through LinkedIn,” he says. The way Kong remembers it, Sansiri had commissioned Boston Consulting Group to study the co-working sector and evaluate the operators. BCG had in turn connected with Kong via LinkedIn and requested a meeting. 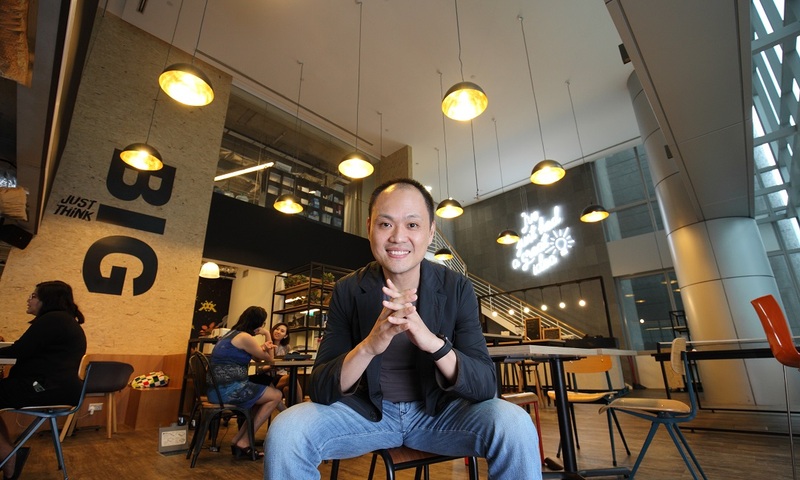 “They talked to a lot of different co-working operators in Singapore, not just us,” Kong adds. Eventually, it led to the deal. In addition, JustCo intends to have 30 coworking spaces across Asia-Pacific by next year. The group plans to expand into other key cities in Southeast Asia, including Jakarta, Kuala Lumpur, Ho Chi Minh City and Manila. The rollout of the co-working spaces around Asia-Pacific will also provide Sansiri with access to JustCo’s 12,000 members. This means greater opportunities to collaborate and expand around the region, says Kong. In Singapore, JustCo has four co-working premises at 120 Robinson Road, 6 Raffles Quay, UIC Building and Marina One, and occupies close to 200,000 sq ft of office space.